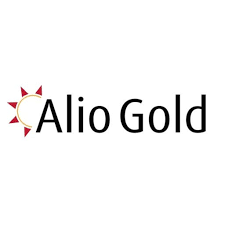 Alio Gold Inc. (TSX:ALO) (NYSE AMERICAN: ALO) today announced that it has entered into a definitive agreement to sell non-core assets, located 40 kilometers south of the Company’s Florida Canyon Mine in Nevada to Coeur Rochester, Inc., a wholly-owned subsidiary of Coeur Mining, Inc. (NYSE: CDE). The assets include those comprising the Lincoln Hill Project, Wilco Project, Gold Ridge Property and other nearby claims. Under the terms of the definitive agreement, the Company will receive total consideration of $19 million upon closing of the transaction, payable in shares of Coeur common stock valued based on a volume-weighted average stock price for the five (5) trading day period ending on the third trading day preceding the closing. Recently, the Company has also substantially reduced its outstanding debt with Macquarie Bank Limited from $15 million at June 30, 2018 to $5 million as at today’s date. The debt was reduced by making a scheduled quarterly payment of $1.25 million on September 30, 2018; by monetizing the gold hedge book for proceeds of $2.5 million; and by utilizing approximately $6.25 million in previously restricted cash to pay down the debt. The Company expects to fully extinguish the MBL debt during the fourth quarter. In addition, the Company has also settled a $5 million contingent liability1 that the Company acquired with its acquisition of Rye Patch Gold Corp. and the Florida Canyon Mine earlier this year. The Company has also updated its surety bond for the Florida Canyon Mine in Nevada, releasing an additional $5.1 million in cash. The Transaction is subject to customary closing conditions and is expected to close in the fourth quarter of 2018. Transfer of the Wilco Project to Coeur is subject to a 30-day right of first refusal in favor of a third party. The Transaction is expected to close after either expiry or exercise of the rights. Coeur has granted customary registration rights to Alio Gold to facilitate resales of the Consideration Shares by Alio from time to time. The liability originated from the acquisition of the Florida Canyon Mine by Rye Patch from ADM-Gold Co., Ltd. The liability consisted of $5 million in cash and 15,000,000 share purchase warrants exercisable for Rye Patch common shares (pre January 2018 consolidation) payable upon Florida Canyon achieving certain milestones. Issuing 2,307,692 warrants to Admiral to purchase Company common shares at a strike price of $3.25. Each warrant is exercisable for two years for 0.48 Alio Gold shares plus CAD$0.001 cash. Should the warrants be exercised, the Company would issue 1,107,692 shares in Alio Gold and receive approximately $7.5 million net cash. Issuing an unsecured promissory note for $2.5 million payable in five years. The Note bears interest that is payable quarterly at a rate of four percent (4%) per annum until the first anniversary of the Note and nine percent (9%) per annum until the maturity date of the Note. The Company has the right to repay the Note at any time without penalty.